You may be traveling to the Bahamas on vacation, or for a very special honeymoon or wedding anniversary. You will want to bring plenty of outfits to keep you looking fresh and chic throughout your stay. If you are having trouble fitting your items within your airline’s baggage allowance, why not send your luggage to the Bahamas with Send My Bag, so you don’t need to worry about facing excess baggage charges at the airport? If you are a student going on spring break in the Bahamas, you will probably want to take part in some water sports. You can easily do this using your own equipment, by shipping it to the Bahamas with Send My Bag. Your sports equipment can be sent to your hotel, ready for you to pick up and use. Send My Bag can then collect your items again at the end of your vacation. A vacation in the Bahamas is not just about lying on the beach; golf enthusiasts can also enjoy a round or two of golf. The top-rated golf courses include Paradise Island Golf Club, the Ocean Club on New Providence Island and Abaco Club on Winding Bay. Several of the hotel resorts on the islands provide golf courses. You can enjoy golf in this beautiful location using your very own golf clubs, by shipping them to the Bahamas with Send My Bag. Other than being able to use equipment that is familiar to you, you can also avoid having to wait around at bag drop or luggage carousels, or having to drag large golf bags behind you. See more information on how to send golf clubs with Send My Bag, including how to best package your golf clubs. The Bahamas make an excellent vacation destination for those interested in water sports, given its clear water and inviting temperatures. Activities on offer include jet skiing, kiteboarding, kayaking, snorkeling, canoeing and even swimming with dolphins. 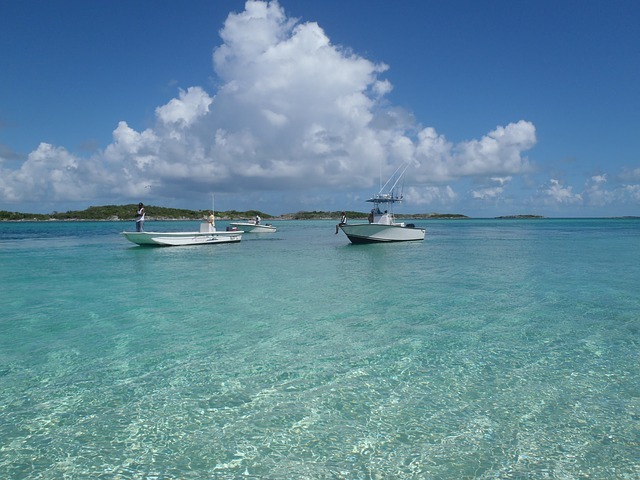 The Bahamas does not just offer stunning scenery and excellent beach vacations. There are also a number of historic sights to visit, predominantly in the capital of Nassau on New Providence Island. These include Fort Fincastle and Fort Charlotte, which provide insight to what it was like to protect the island in the late 18th and early 19th century. Nassau is also home to the Queen’s Staircase, created out of the limestone landscape between 1793 and 1794 and named in honor of Queen Victoria.